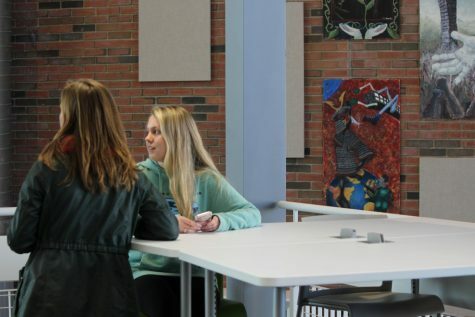 After some delay, the library, otherwise known as Barnstable High School’s new Innovative Learning Lab, is finally up and running, with many new and impressive features. Walking into the new innovative learning space, it doesn’t resemble a typical library. 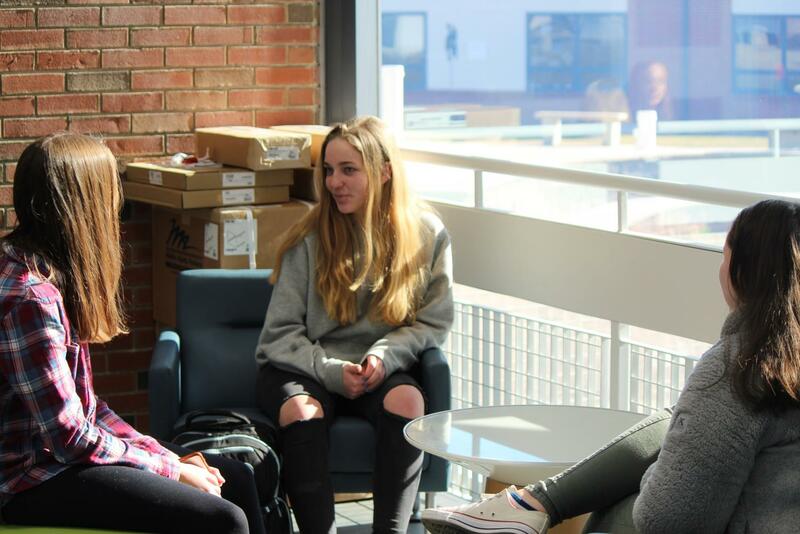 The space is much more modern, to fit the modern needs and resources of students and teachers to get a more hands-on, and collaborative learning experience. Some of these spaces include an enclosed conference style room with monitors on each wall so that everyone can sit at a long table during meetings or collaborations without turning towards any one monitor, to create a more natural environment for discussion. Sharon Morgan, High School librarian, said the idea for such a room was actually inspired by the conference room in Boston when the designs were being created. “I realized we don’t really have any rooms like that in our school, and it would be beneficial to have such a space where staff can organize for meetings, or students can collaborate on projects,” said Morgan. Morgan also described various other spaces. The huddle station allows students to attach their technology to a monitor and present among their peers, huddled around the monitor. At the laptop bar, students may borrow the laptops in the provided area. The old computer lab on the first floor is essentially left to serve a similar workspace, but with no PCs and instead being updated with laptops, Ipads, etc. The second level is dedicated more towards student experimentation and projects, to test robots, Virtual Reality technology, or create student videos with a green screen, Morgan detailed. Mrs. Morgan also proposed the idea that there be two help desk students on hand at any given time who know technology to be available to teach staff and peers how to use the modified tech. The updated library space was originally intended to open in fall of 2018, but with certain delays with structural steel, setting up technology and spaces, and getting permits to open put the project behind schedule. The library is now open, since January, for students and staff.